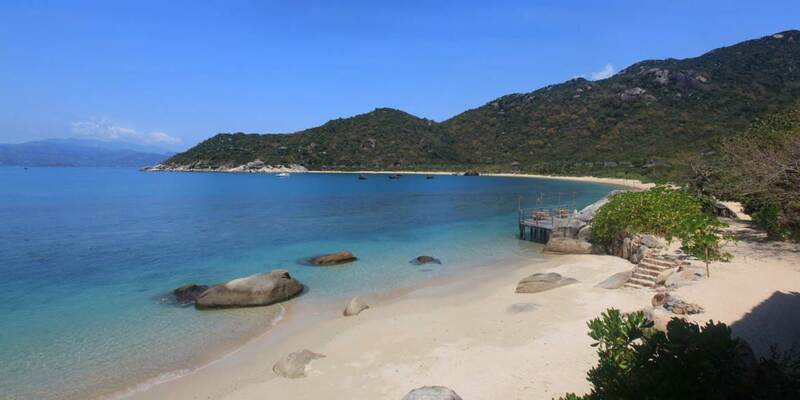 A journey of 60 minutes from Cam Ranh airport brings guests to the Six Senses lounge in Nha Trang city. It is then just a 20 minute boat ride to Six Senses Ninh Van Bay which provides the ultimate seclusion as it is accessible only by water. The resort sits on a dramatic bay that gives the feeling of an island, with impressive rock formations overlooking the East Vietnam Sea. White sand beach and towering mountains add to the sense of being intimately at one with nature. The three restaurants serve international and local favourites along with East meets West specialities with fresh organic produce complemented by the best local seafood. Dining by the Bay spanning two levels with views across the bay serves breakfast and dinner, while Dining by the Pool serves Vietnamese and Western dishes and is open for lunch . 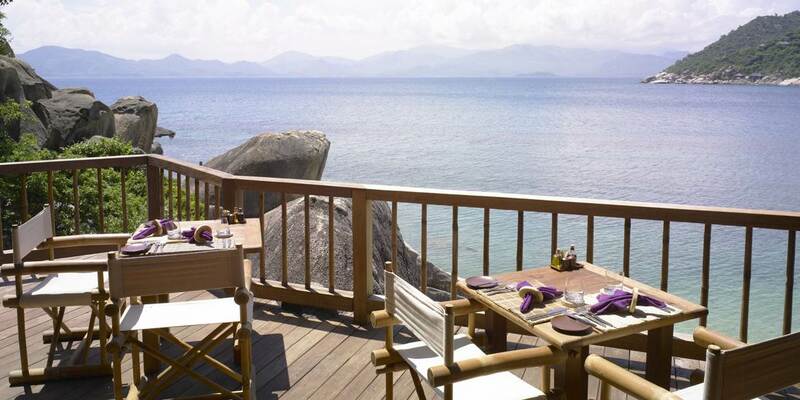 The signature restaurant; Dining by the Rocks, has an intimate natural setting overlooking picturesque Ninh Van Bay with a menu that showcases local produce, top quality meat and seafood for dishes at the culinary forefront. For a magical dining experience, The Cave offers a unique setting for an intimate dinner, perfect for that special occasion. There are many experiences to enjoy both in and close to the resort; the water around the three outlying islands dotted around the bay has beautiful marine life and some of the best coral reefs in the region. Hike on the trail to the top of Heo Mountain which offers stunning views over Ninh Van Bay, learn more of the flora and fauna of the peninsula and maybe spot monkeys near the reservoir, continue on this trail to reach the private beach, Bai Nho; enjoy snorkelling before heading back to the resort in a wooden boat. Budding photographers can hone their skills with the professional photographer who will come over to the resort to assist with holiday snaps whilst sharing insights on how professionals make their pictures perfect. Also on offer for the energetic are tennis, volleyball and badminton. The Spa offers an altogether calmer experience with yoga and meditation available. Six Senses signature treatments sit alongside traditional Vietnamese ones, detox programmes, massage and reflexology, all treatments are designed to suit the guest’s individual need. 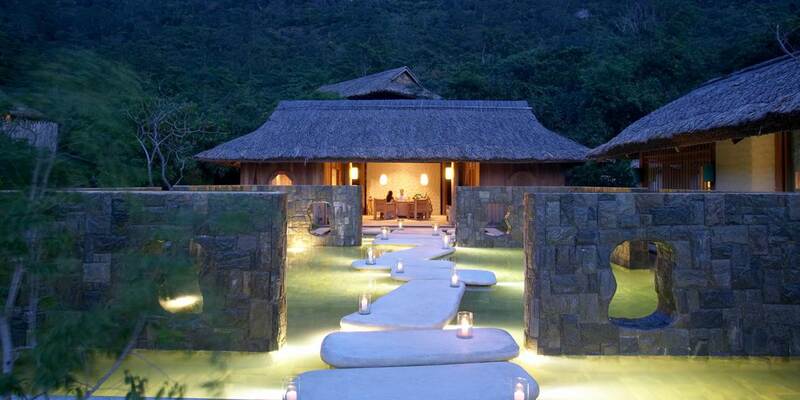 The Spa is truly a sanctuary for the senses. 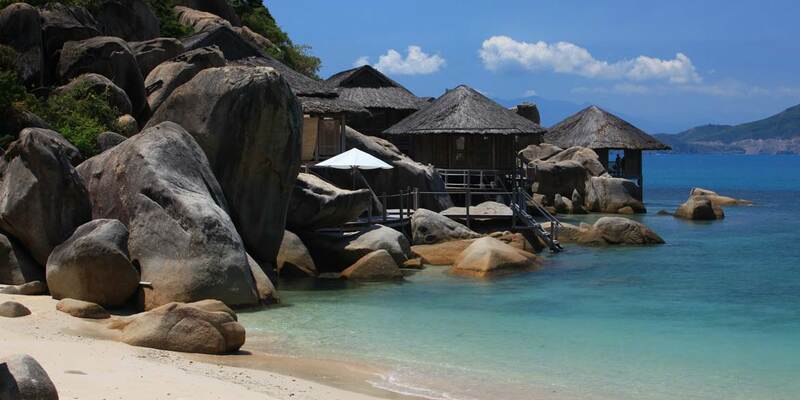 The 58 spacious pool villas are located on the beachfront and over water, as well as nestled into the island’s rock formations, a stunning feature for this multi-award-winning resort. The 1 and 2 bedroom Hilltop Villas face the mountain ranges of Nha Trang and offer majestic views of the South China Sea, located on the hillside above the resort at either end of the bay, they are accessible by private paths and stairs which ensure total privacy. The Beachfront Villas, with their separate living and sleeping areas, open air bathrooms , own garden , plunge pool and direct access to the beach, are definitely for sand lovers. 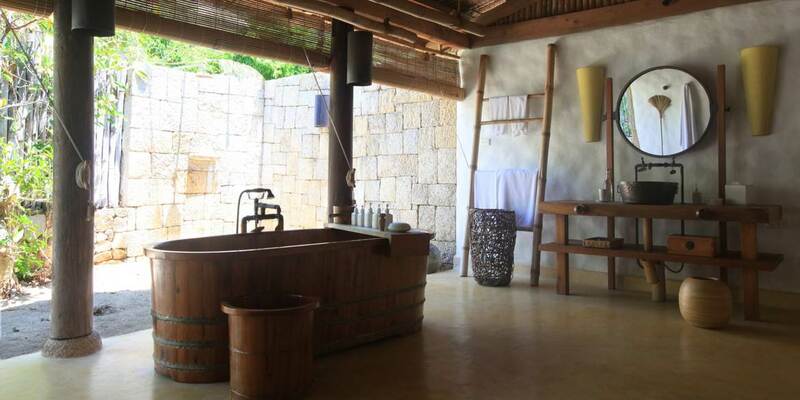 Scattered amongst rock formations at the western end of the bay and offering a secluded location away from the busier areas are the Rock Villas, each has a private plunge pool set into the rocks, and being far from other villas, absolute privacy is ensured. The snorkelling enthusiast will love the Water Villas which are built on the edge of the water, overlooking the coral in the bay. Leading into the tropical waters, with a plunge pool and private deck on which to sunbathe or watch the sunset, they are havens of serenity. The Rock Retreat is a stunning cluster of individual living and sleeping pavilions set at the water’s edge on the rock formations of a private bay. Complete with spa treatment room and a dedicated butler on call 24 hours a day; this is the ultimate life style villa.